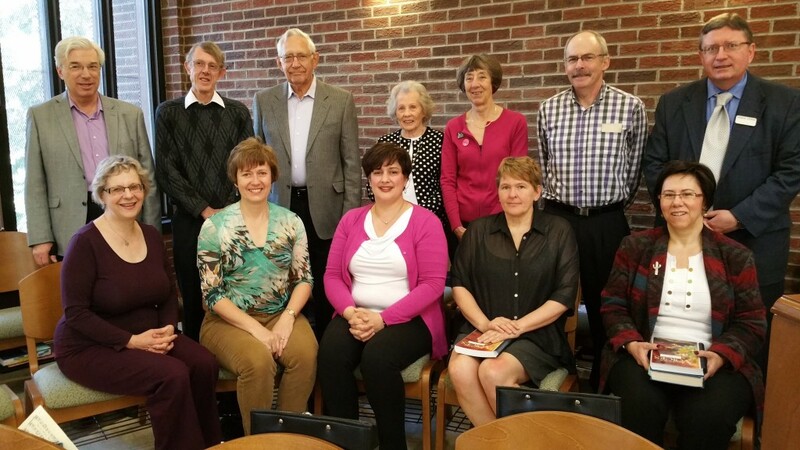 The music ministry at St. Laurence is led by the Choir – an adult mixed-voice ensemble of approximately a dozen female and male singers under the leadership of our Music Director, Deb Koning. From September to May, the choir gathers for rehearsal at 7:30 pm on Thursday evenings and again at 9:00 am on Sunday and anyone is welcome to join at any time (no experience required, no auditions). All that is needed is a love of singing and a desire to contribute to the Sunday morning worship experience. The choir at St. Laurence understands that its ministry encompasses three different dimensions of music leadership. Its first and most important role is as a “cheerleader” to lead and support the congregation in communal song. Thus, worshippers are encouraged to sing hymns, service music, chants and most other music during the service. To this end, the choir also occasionally acts in the role of “teacher” to train the congregation in new music, whether it be a hymn, a chant, or other music to be used in the liturgy. Finally, from time to time, the choir acts as “performer” when it presents an anthem or other musical selection on its own during worship. The two main hymn books in use at St. Laurence are Common Praise and More Voices. However, other sources are often used to supplement the books. Thus, music selections at St. Laurence cover a wide variety of styles from traditional Anglican hymnody to Taizé or other chants to contemporary and world music. From time to time, the music ministry at St. Laurence also includes vocal or instrumental “ad-hoc” contributions from other members of the congregation. Instruments used have included saxophone, clarinet, trumpet, violin, double bass, guitar, and bagpipe in addition to piano and organ. The main instrument used Sunday by Sunday is a three-manual 42-stop Phoenix digital organ that was originally installed in 2003. A piano (soon to be a small grand piano!) is also regularly used. Musical contributions from both younger and older members of the congregation (other than the choir and music director) are always encouraged. Please speak to the Music Director for further information about participating in the music life at St. Laurence.